Unit 19 New Zealand Background. 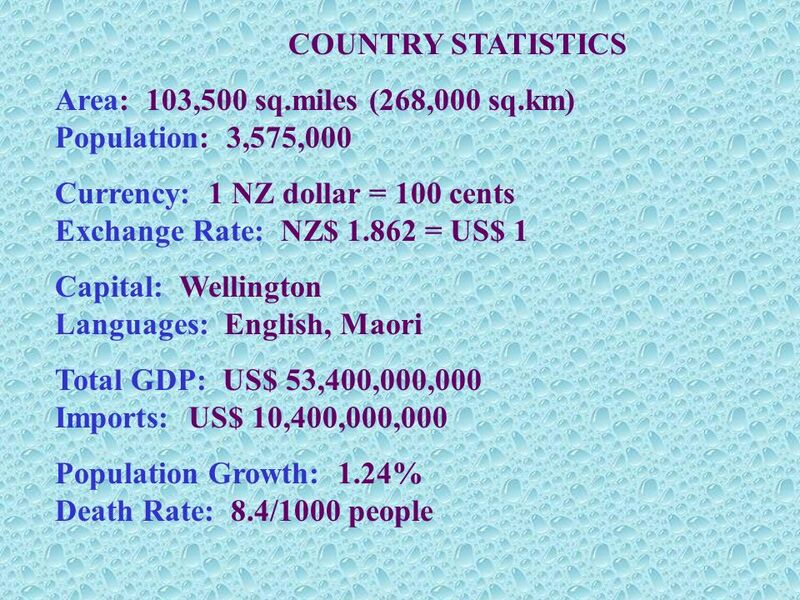 COUNTRY STATISTICS Area: 103,500 sq.miles (268,000 sq.km) Population: 3,575,000 Currency: 1 NZ dollar = 100 cents Exchange. 8 deals, continued for the next 30 years. New Zealand was freed from colonial status in 1907 but retained the reigning British monarch as its head of state. It is a stable, harmonious, progressive parliamentary democracy. 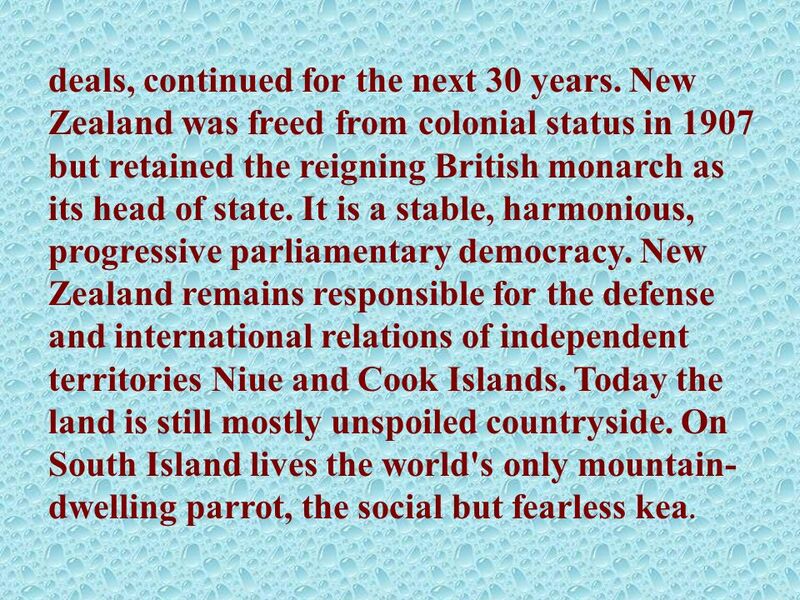 New Zealand remains responsible for the defense and international relations of independent territories Niue and Cook Islands. Today the land is still mostly unspoiled countryside. On South Island lives the world's only mountain- dwelling parrot, the social but fearless kea. 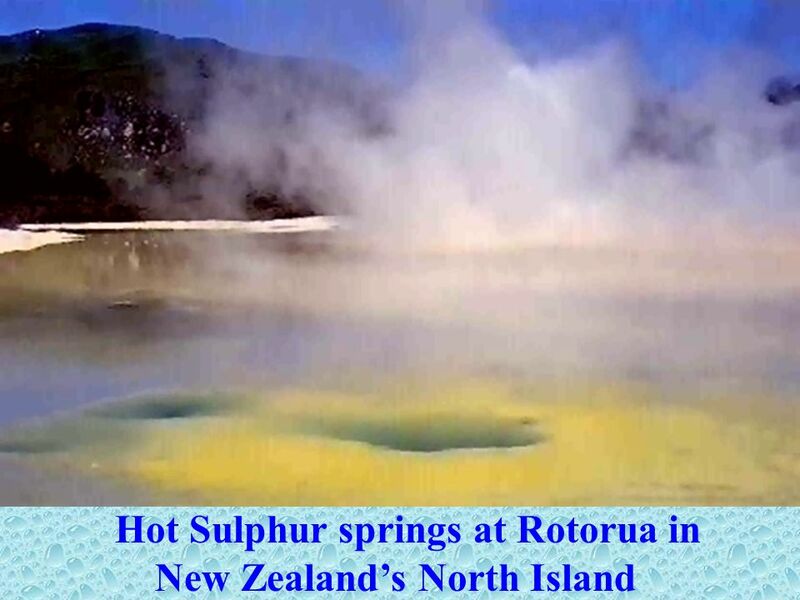 12 and geysers, reaches to more than 9,000 ft (2,736 m) at Mount Ruapehu and contains Lake Taupo, New Zealand's largest lake. 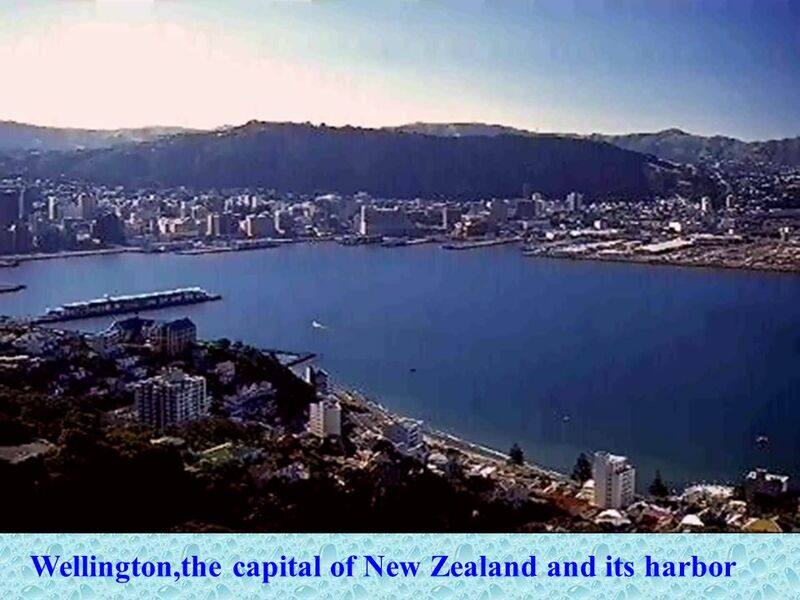 Most of the population lives on North Island, home to the capital, Wellington, and the largest city, Auckland. The biggest cities on South Island are Christchurch and Dunedin. 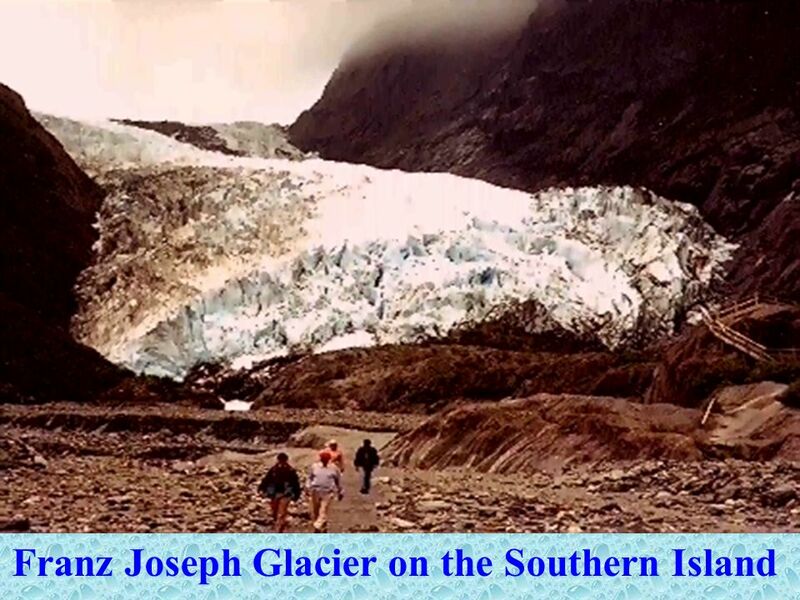 New Zealand's scenery is remarkably beautiful and lush, and the climate, ranging from almost tropical in the north to alpine in the south, attracts many visitors. 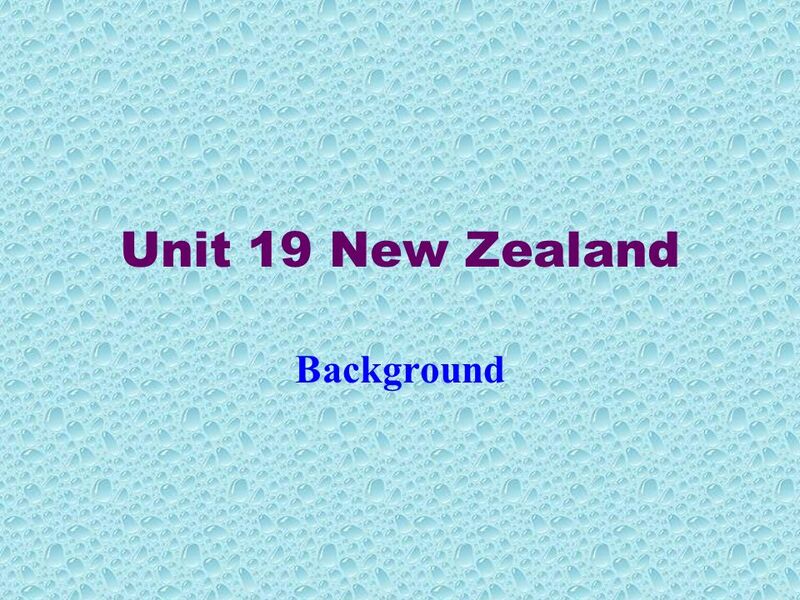 Download ppt "Unit 19 New Zealand Background. COUNTRY STATISTICS Area: 103,500 sq.miles (268,000 sq.km) Population: 3,575,000 Currency: 1 NZ dollar = 100 cents Exchange." New Zealand By: Katie Caputo. Maps of New Zealand World Continent New Zealand Hemisphere. 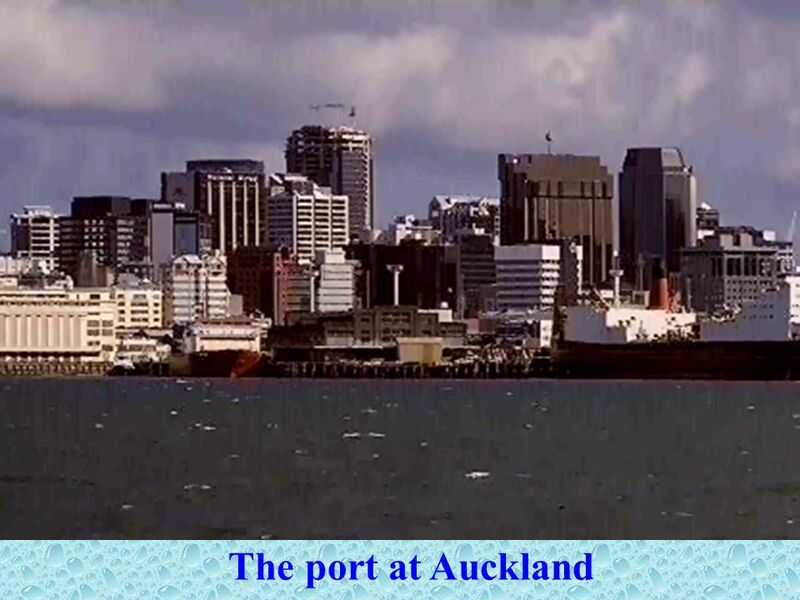 New Zealand is an island country in the southwestern Pacific Ocean. The island is divided to the North, South and numeros smaller islands. New Zealand. New Zealand lies in the Pacific Ocean, 1900 km south- east of its nearest neighbor, Australia. It consists of two main islands, both are long and narrow. New Zealand „The land of the long white cloud“. 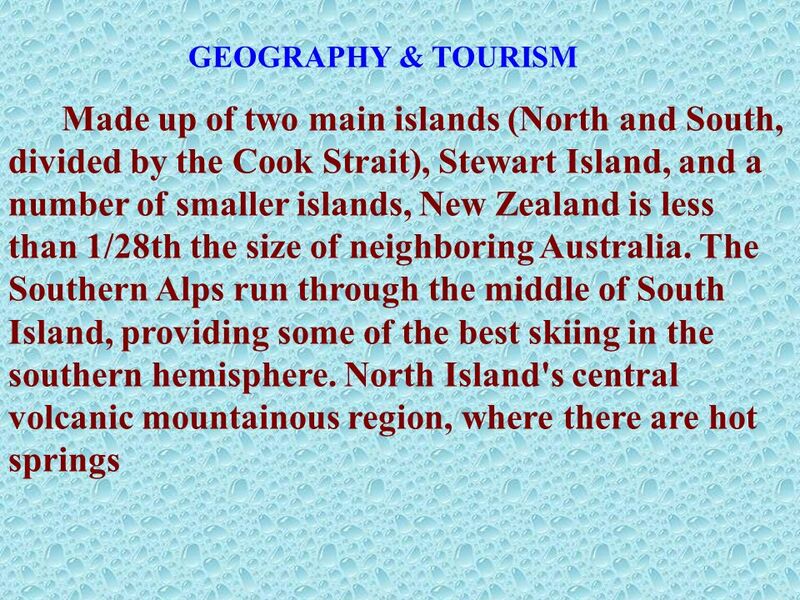 Relief  North island  South island  Bigger than GB. NEW ZEALAND in the world. It is in the Southern hemisphere. Lucie Syrová. 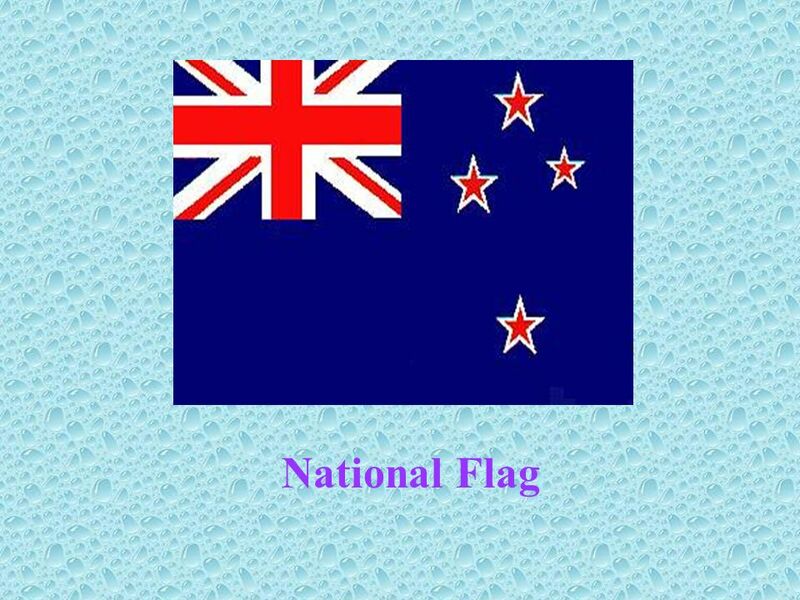 * Basic facts * Flag & the Government * Landscape * Historical facts * Inhabitants. Jana Hájková. * Obrázky určené k popisu a srovnání * Soubor otázek k diskusi na dané téma * Jednotlivé otázky s ukázkami slovní zásoby * Zadání konverzační. NEW ZEALAND DRUZNOVA ANASTACIA PH-41. 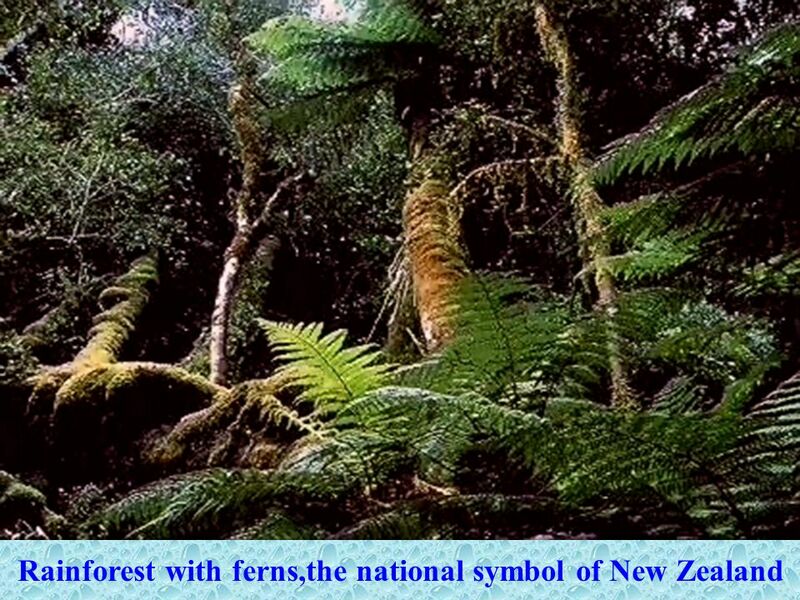 HISTORICAL NOTES The Maoris –the first people; Abel Tasman discovered the western coast; Rediscovered in 1769 by. What can you say about …?. New Zealand is a constitutional monarchy, which means democratic decisions are made by the parliament, but the British monarch. 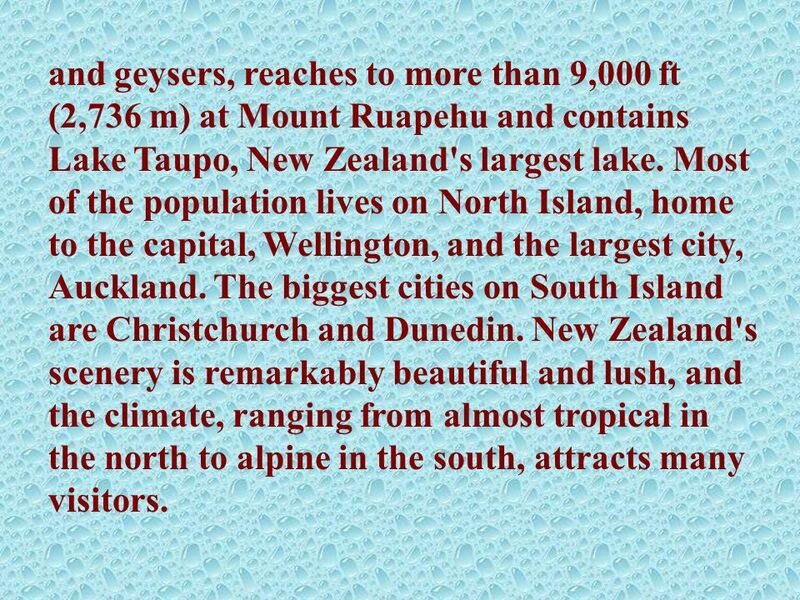 Geography of New Zealand. The Geography of New Zealand Location and physical setting Discovery and colonization Sir Roger Douglas and economic restructuring. 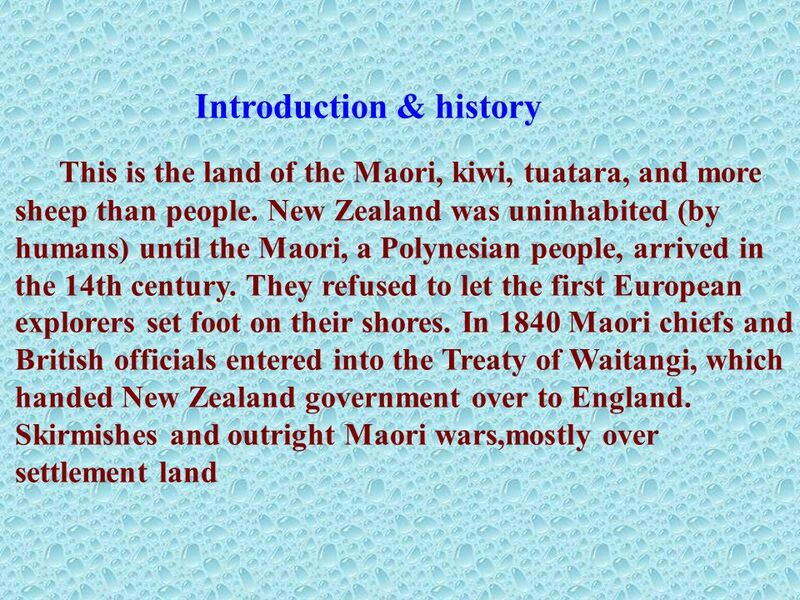 History of New Zealand 1.History 2.Politics. 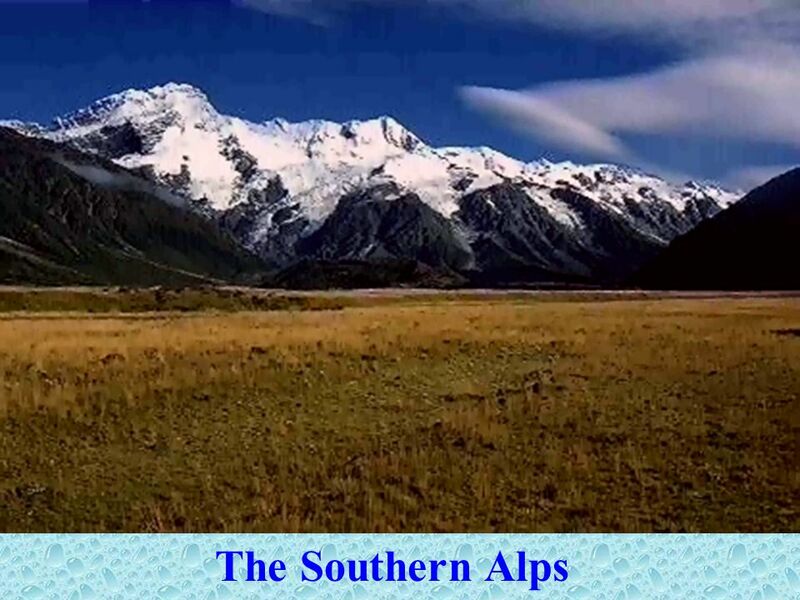 1.History New Zealand is an island country in the south-western Pacific ocean comprising two main landmasses. Discovering New Zealand. 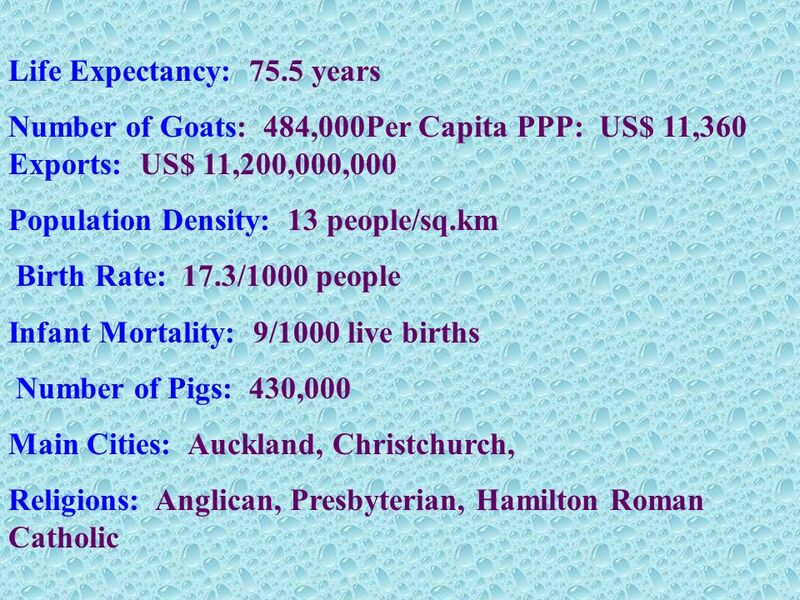 Some interesting facts about New Zealand. New Zealand gained it's independence from Great Britain in New Zealand gained. Protestant Keara MacDonald Stephanie Fletcher. The Country.